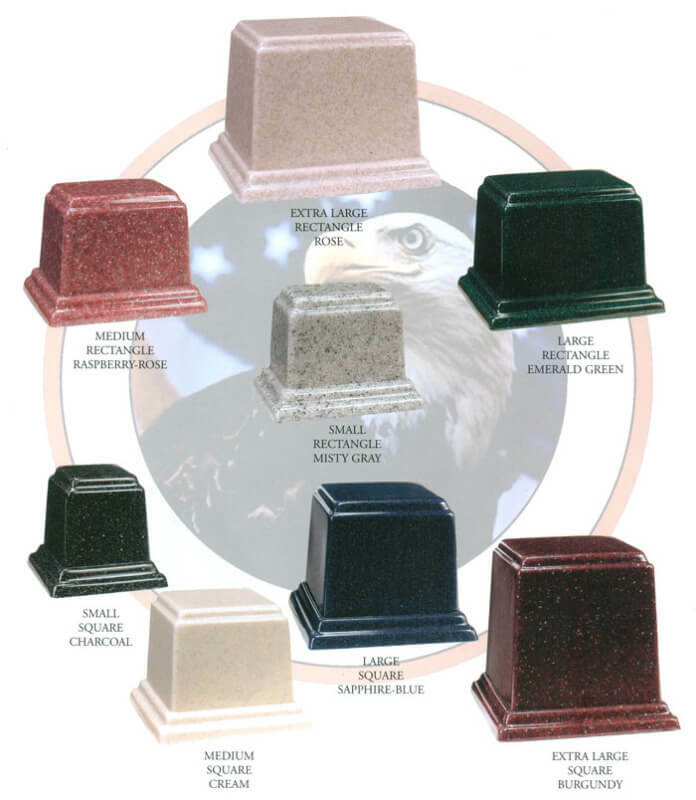 Blair-Lowther Funeral Home is proud to offer high quality, American-made cremation urns from Eagle Urns. These urns are constructed of cultured granite, which consists of a resin and cultured powder mixture, with a 2 inch threaded plug in a black felted bottom. Each urn is hand buffed to a beautiful shine. Cemeteries all over the nation authorize these urns for direct burial.